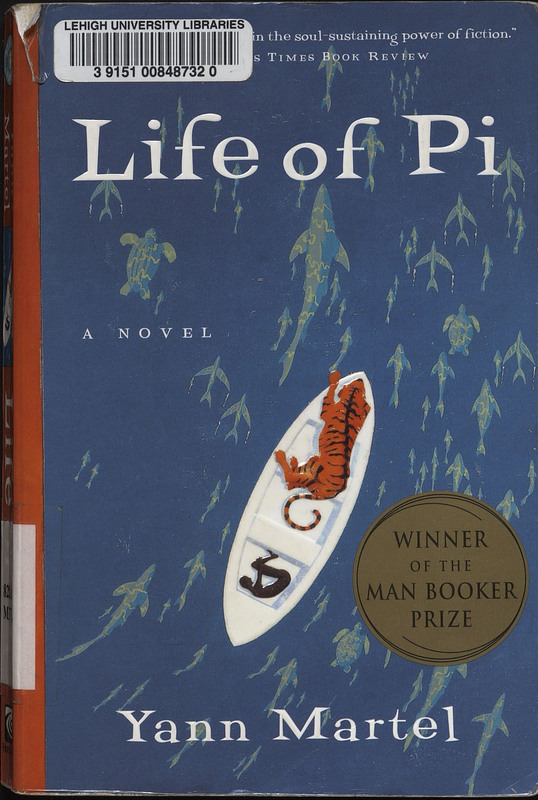 The most modern Robinsonnade novel on display as part of this exhibit, Life of Pi, tells the unlikely fantastical story of a young boy surviving a shipwreck in a lifeboat with a Bengal tiger. Unlike Robinson Crusoe, the main character is not stranded on a deserted island, but the story does feature the Robinsonian element of isolation and overcoming seemingly insurmountable challenges. Similar to Defoe’s original work, Martel examines themes of religious belief and theology. While Crusoe was overtly Christian, having several Bibles with him on the island and likely representative of Defoe’s own Presbyterian beliefs, Pi’s spirituality is more ambiguous focused on belief in God. The tiger’s name, Richard Parker, is derived from the Edgar Allan Poe story The Narrative of Arthur Gordon Pym of Nantucket. Life of Pi. Orlando: Harcourt, 2003, c2001.